The formation of silver nanoparticles in a hydrogel on the basis of polyvinyl alcohol and polyethylene glycol at its crosslinking under the electron irradiation has been studied using the optical spectroscopy and scanning electron microscopy methods. The growth of nanoparticles 40–70 nm in size and their clustering into aggregates about a few hundred nanometers in diameter are demonstrated. The total concentration of nanoparticles and their size correlate with the concentration of ionic silver in the initial solution and the electron irradiation dose. The formation of nanoparticles is interpreted as a result of the radiation-induced chemical reduction of silver in the solution that is spatially confined in the cells of a 3D microstructure in the crosslinked hydrogel. The radiation-crosslinked hydrogel demonstrates an antiseptic effect for 7 of 8 tested microorganisms at silver concentrations of 0.001–0.003 wt.%, which is at least an order of magnitude lower than effective concentrations of ionic and colloidal silvers. I. Soni, B. Salopek-Bondi. Silver nanoparticles on an antimicrobial agent: a case study on E. coli as a model for Gram-negative bacteria. J. Colloid Interf. Sci. 27, 70 (2004). K. Woraz. Antimicrobial property of silver. Toxicology 12, 89 (2001). M.L. Dmytruk, S.Z. 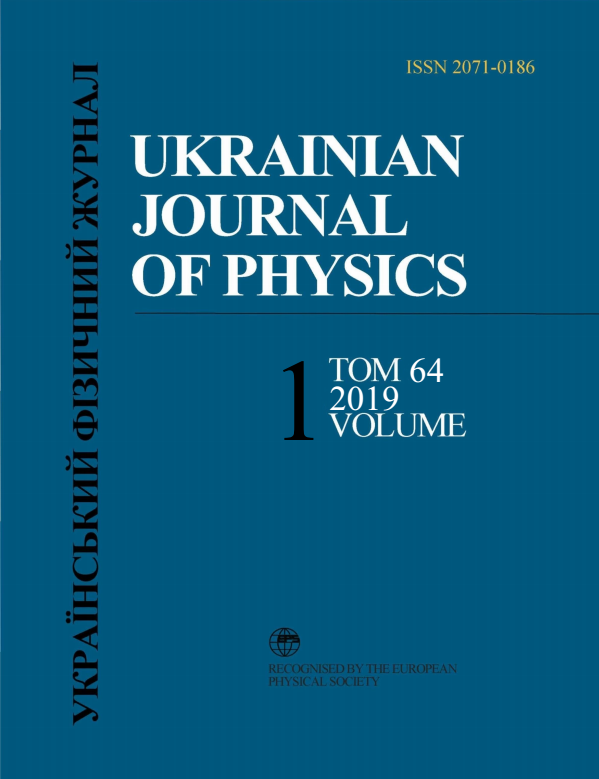 Malynych, Surface plasmon resonances and their manifestation in optical properties of nanostructures of noble metals. Ukr. Fiz. Zh. Oglyady 9, 3 (2014) (in Ukrainian). S.Z. Malynych, Estimation of the size and concentration of silver nanoparticles in aqueous suspensions from extinction spectra. J. Nano-Electron. Phys. 2, Nos. 4, 5 (2010). Shahid Ullah Khan, Tawfik A Saleh, Abdul Wahab, Muhammad Hafeez Ullah Khan, Dilfaraz Khan, Wasim Ullah Khan, Abdur Rahim, Sajid Kamal, Farman Ullah Khan, Shah Fahad. Nanosilver: New ageless and versatile biomedical therapeutic scaffold. Int. J. Nanomed. 13, 733 (2018).